At Freeway Insurance, cheap car insurance doesn’t mean you have to sacrifice quality coverage in order to get a lower rate. We work with top insurance companies to get you the best coverage at the lowest price based on your specific needs. We’ve been helping customers save money on auto insurance for over 30 years and we can do the same for you — even if you’ve had tickets, accidents, a DUI, or require an SR-22. We can help anyone find low-cost auto insurance. Getting the right coverage for your vehicle is easy with Freeway. We offer cheap car insurance options, convenient office locations, and personalized customer care you won’t find anywhere else. 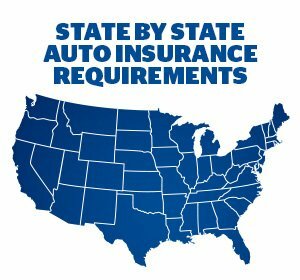 When you request an auto insurance quote from Freeway Insurance, an insurance advisor will compare auto insurance rates from top insurance companies to help you find the policy that fits your needs and budget. Our insurance advisors have years of experience in the insurance market, so they know how to get you the best car insurance available. Tickets? Accidents? DUI? Freeway Can Get You Insured. If you’ve had tickets, accidents, a DUI, or require an SR-22, Freeway Insurance can help. We offer affordable car insurance for every type of driver; whether young or old, good driving record or bad driving record – we can even help drivers who have been turned down by other insurance companies or have had a lapse in insurance coverage. The advice of our insurance specialists will help you find the best high-risk auto insurance rates based on your specific situation. Freeway Insurance makes it easy to obtain cheap car insurance. Car insurance quotes are available online or over the phone at 800-777-5620. You can also stop by one of our conveniently-located offices where an insurance expert will help you find the right policy. Have questions? See our auto insurance FAQs.